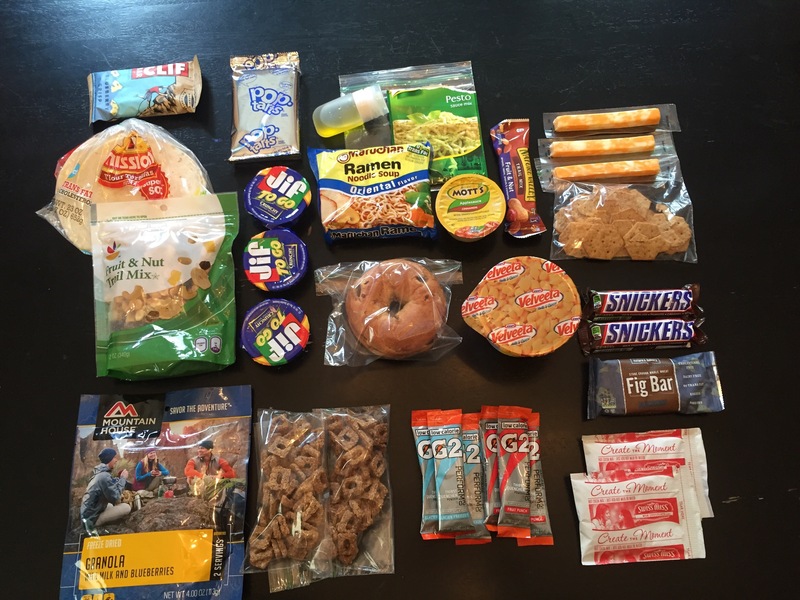 Tomorrow JoJo and I leave for a 4 day 3 night section hike along the AT and I wanted to share what I will be taking along with me to eat. I plan on eating a big breakfast tomorrow AM before I drive to the trail head. only thing not shown is popcorn- still have to pick that up!